These blog entries and their content are not public domain, and are under the copyright of Wes Bushby, Wes Bushby Photography, or other aliases that may be found in the blogs, photos, and Internet. This also extends to any images I may put up on Facebook or Instagram, videos on YouTube (just to name a few) or any other type media where information is exchanged. These blog entries and their content, along with photos on Facebook and Instagram (just to name a few), are protected by copyright law, all rights reserved and some rights granted to others as outlined in the numbered paragraphs below. To put it in simpler terms, get permission to use. If approved, you will be granted a license, limited use, or other use. 1. If you are an individual or part of a group mentioned in writing in this blog, or have a photograph of you in this blog, AND you intend to use it for home use only, then there is nothing else you have to do. Feel free to copy, download, or print. NOTE: Home use means it will be for personal use only, and not for distribution, advertisement, or any other venture where the original creator of the work would normally expect credit and compensation; Home use means for your first hand personal and noncommercial use only. 2. If you are an individual or part of a group mentioned in writing in this blog, or have a photograph of you in this blog, AND you intend to only post a copy on your personal website such as Facebook or Myspace, or put on a website, you may do so as long as adjacent credit of my original work is given back to Wes Bushby, and whenever possible a hyper-link back to 219Music.ME. NOTE: This is not for other distribution, advertisement, or any other venture where the original creator of the work would normally expect credit and compensation; This is for personal and noncommercial use only; Re-printing other than first hand personal use is not allowed. 3. If you are a Society or Organization (organizations using *.org) mentioned in a writing in this blog, or have a photograph in this blog, you may copy, download, use on a Society or Organizational website only if you provide adjacent credit back to Wes Bushby, AND a hyper-link back to 219Music.ME. NOTE: This is not for other distribution, advertisement, or any other venture where the original creator of the work would normally expect credit and compensation; This is for Society and Organization non-profit web page use only; Re-printing is not authorized unless otherwise approved. 4. If you or your work are shown in this blog and you are in the Arts, whether it be a band or individual musician, a theater group presentation or improv, an artist, even another photographer (just to name a few), you have permission to share the blog(s) or any part of its content, including photographs. I ask that you provide adjacent credit to Wes Bushby, and wherever feasible give a hyperlink back to the blog which it came from, or to 219Music.ME, or to StreetPhoto.ME. Those in the arts can crop out the watermark in the photographs to fit your needs. 5. This copyright page has also been protected by law. Many people go as far as to state their copyright verbiage has a copyright. I do not care when it comes to mine. Why reinvent the wheel when in the end we are saying and wanting the same thing. Feel free to copy this page, these statements, and change to your name. Do realize I am not a lawyer. I am only presenting what the law already protects, and I am giving limited licensing to certain individuals, groups, and organization that I will support, in order to save time for all involved. If you do not fit into any of the above numbered requirements, please make a request for permission. The granted permission may or may not include additional requirements. Please make contact through 219MusicLIVE[at]gmail.com. Copyright protection of original work is a law. Please respect and give common courtesy to the original creators of work. It is better to be friends than enemies, because it will cost you time and money for not first obtaining permission. I am sure if you follow the guidelines of copyright law, you will find most, if not all, creators of original work will be willing to extend permission with few, if any, limitations. Do, however, be prepared for potential licensing and original creator compensation from me or any other original creator of work in response to a request. And, get your checkbook ready if you have not asked and have not obtained permission! If in doubt, ask, because that part is always free. Enjoy the blogs! 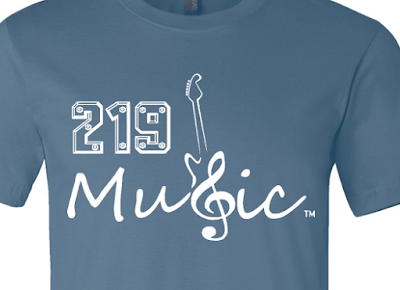 219Music™ is a trademark owned by Wes Bushby. Last note, check back periodically for my latest copyright. Last updated 3/18/2018.